These results are based on running 1 hour of OCCT and 1-2 hours of continuous gaming, with a 21C ish ambient temperature. I've removed the glass from the windowed side panel since the GPU block sticks out a little too far, which should also be helping with airflow. I don't really see a problem with this so long as I dust it out every now and then. 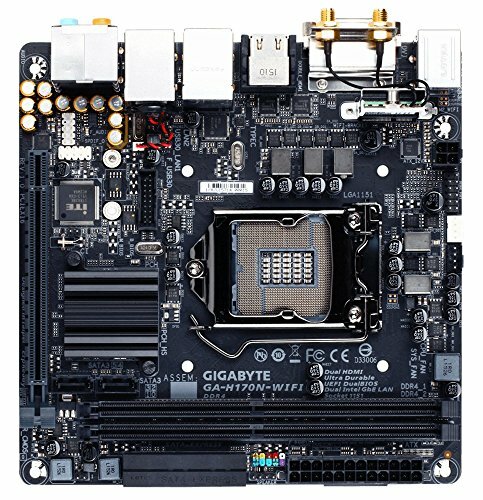 Something that might seem questionable is the decision to watercool a regular 6700 paired with a pretty cheap motherboard (Gigabyte H170N), given the cost of everything else. My hope was that this would allow for more effective cooling of the GPU. I also saw no reason to spend the money upgrading my cpu/mobo, since the 6700 still seems decent enough for gaming. I had to remove the front I/O to fit the bottom radiator. I had to drill holes to mount the pump/res. The bottom fan/rad setup is pulling air from the bottom, the rear fan/rad is exhausting air from the case. Not sure if this is the best configuration, but it's probably not a big deal since I removed the side panel glass. I used custom cables from Solo Sleeving, the lengths were 20cm for the 24 pin, 40cm for the EPS, and 20cm for the 8 and 6 pin PCIE. The 24pin just barely fit, but other than that I'm pretty happy with the lengths. The fittings are mostly 16mm OD Barrow compression fittings, with a few EK ones thrown in there. If it seems like there are a few pointless fittings in random places, that would be because I didn't order enough tubing and mis-cut a few of the longer runs. I don't mind the look of these though. The build is definitely not quiet under load, in part thanks to that open air side panel. 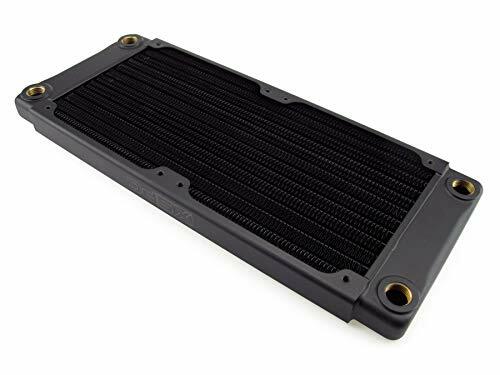 I honestly think it's still quieter than the stock cooler on the 2080 FE under load, though. That thing seemed unreasonably loud when I was testing it. All 3 fans and the pump are plugged into a fan hub, which is then plugged into the CPU pwm fan header on the motherboard. 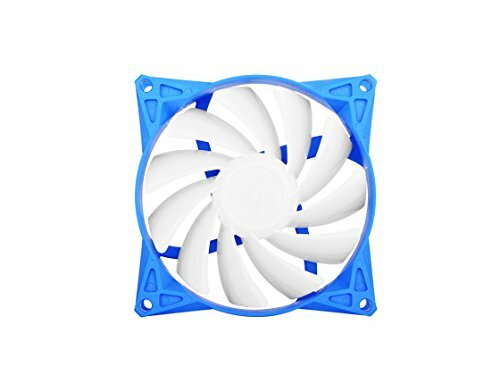 The CPU fan header is set to "normal" in the BIOS, which seems to be doing a good enough job of controlling the fans/pump. They're pretty quiet at idle. 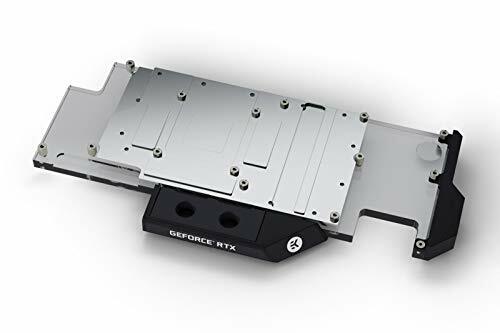 I got the 2080 and the waterblock/backplate used, in like-new condition, for $700. So far no problems with either. Fantastic work. Great execution. Really makes me want to try my hand at a loop in a very small case like this. Really makes me want to try my hand at a loop in a very small case like this. Thanks! Yeah, I think it's pretty rewarding seeing everything fit in there with almost 0 wasted space. Even if the temps aren't quite as good as they'd be in a bigger case. Thanks. Like in a good way or a bad way lol? Nah, it's just the fact that in a $2.7k build, that you went for $150 RAM at 2133 MHz... you could probably get at least 3200 MHz RAM that looks better (your current RAM looks great, when I mean better I mean RGB) and is cheaper. Fair enough. The main components, including the RAM, were purchased in 2016 though. I think similarly, my cpu/mobo are a little out of place in a build like this. As long as the rest of the system isn't holding back my GPU performance by too much, I'm happy. I see you made some compromises like leaving the side panel open due to the GPU water block sticking out but good heavens, that is some thick radiator at the back. No wonder you attached your exhaust fan at the outside rear of the case. Still a great build! I'm loving that thicc radiator, fills the space and covers the I/O ugliness. how much time did this take? But wow the result is good. Thanks. Not counting the planning, I'd say 6 ish hours spread over 3 weekends. This was my first water cooled build though, I think I could do it a lot faster a second time. Amazing you can fit so much in such a small case! Beautifly put together build. That water loop is so clean! Really clean for such a tight space! Lovd it! i am giving up, i can't beat this, super clean. well done! 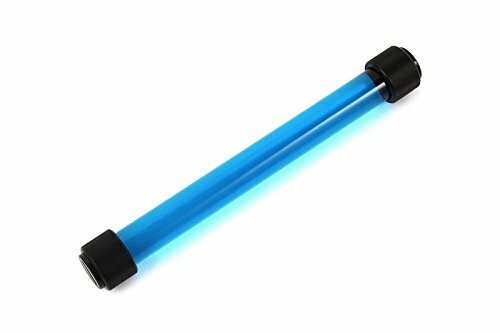 do you think you can fit a top 120 or 240mm rad? 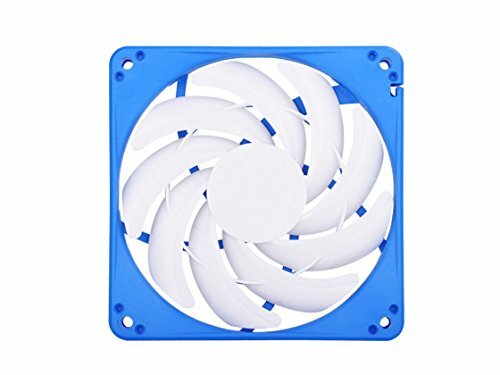 bc that might help with noise and temps. Definitely not a 240 because of the top mounted psu. I doubt a 120 would work either since the RAM is in the way. A slim 92mm might work, if that's even something that exists lol. there are fat 92mm (40mm), but no slim (<25mm) ones. Very clean build for a mini ITX. You utilize the limited space available very well. I also like the white and blue color scheme. 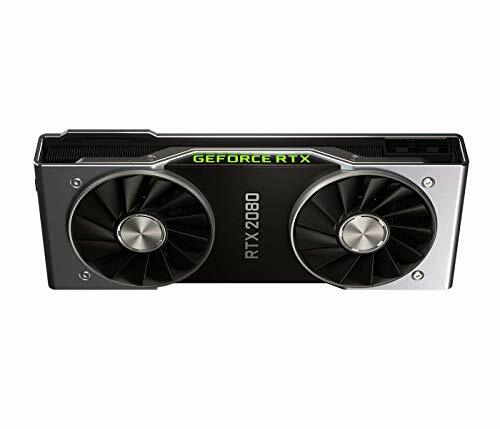 Personally I'd never invest 700$ only to get a 20% gpu performance increase but 700$ for a GTX2080 and waterblock/backplate seems like a good deal especially if you can sell your old 1080. Thanks! I did sell my 1080 for $350. 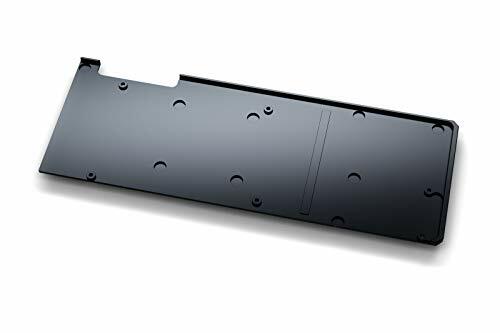 In the end, I think I spent about the same as I would've to upgrade to a 1080ti, if you consider that the block/backplate sells for over $200 new. Probably not the best value, I agree, but neither is the waterloop itself lol. The cpu/mobo/etc were parts I already had. I agree that maybe I should have spent a bit more to upgrade those. But still, I don't think the 6700 should be bottlenecking the 2080 in games or anything. Such a commitment and effort... I tip my hat to you sir. Very nice compact design. Is it me or the temps on the cpu a bit high for a locked & liquid cooled cpu ? 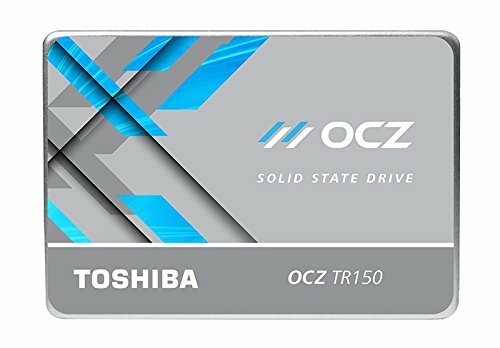 A non-overclockable CPU with a custom loop? My priority was gpu cooling. I already had the 6700, so I didn't want to spend more on a cpu that would be generating a lot more heat. My radiator setup is already a little less than you'd want for these components. Yea, I'd argue that most water cooled builds are at least a little form over function though. I wouldn't have done this if I didn't care about the aesthetics. 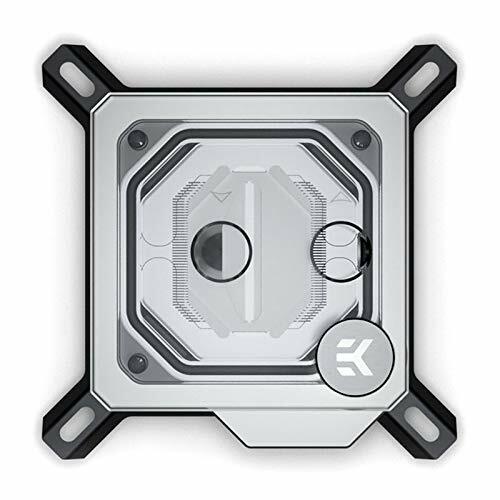 How do you add custom water cooling things like you did? I can't find any option that allows that. There is no water cooling section. What the builder did was hit "Add custom part" at the bottom of the build page. Props on the build. It's probably one of the coolest builds I've ever seen. It's awesome to see that much packed in such a small form factor. I was wondering though, do you notice any bottleneck between the RTX 2060, and the 6700k? 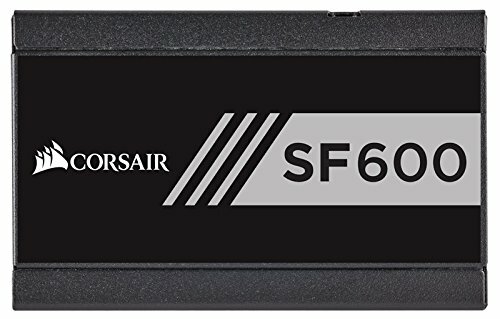 I believe the 6700k is slightly more powerful than a R3 2200g. An awesome build nevertheless. It's a 6700 non-k and an RTX 2080. But no, I don't notice any obvious bottle necking. I think the 6700 is still an above average CPU for gaming, if anything. I've mostly played Apex Legends since finishing the build, and I average over 100 fps at 1440p and high settings, which seems consistent with other 2080 benchmarks I've seen. Dude, this took hella paitecnce, something i dont have! Love the "Business in the front-Party in the back" cable management. Cool little computer (cool geddit)! 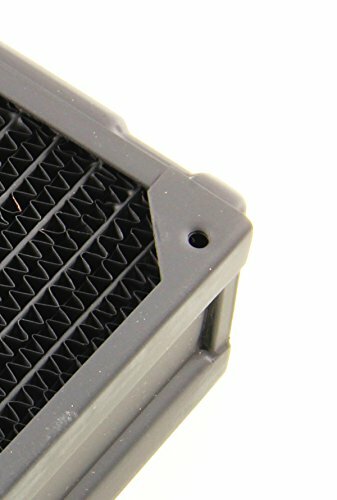 Automatic upvote for NCASE M1. Currently working on my own M1 water loop and understand the frustration of trying to get everything to fit. I doubt mine it will look as nice as yours, but I can always hope. My only critique would be the mass of wiring detracts from the otherwise stellar build. Nice feature on 3/23/19! +1! 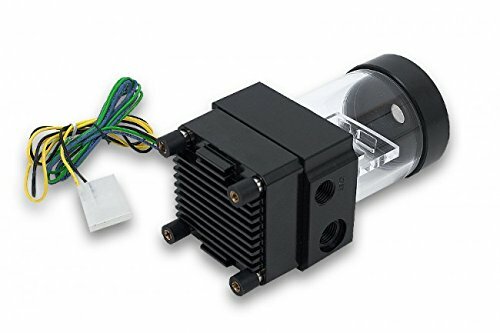 Nice water cooling loop! Hello man! I just want to say I really appreciate what you have done here. This thing is an art and a masterpiece. I have also one question and I will be very thankful for a detailed answer. I have the same CPU as you and I've been wondering if you notice any bottleneck there. I would go for 2060 if anything (or 2070 eventually) but all the bottleneck calculators I check show me up to 20% bottleneck there. I would use them for playing at minimum 1440p up to 4k. Thank you so much and good job on this one! Thanks. I haven't noticed any bottlenecking. The one game I've tested is Apex Legends - I'm getting around 105 fps average (just based on the in game fps counter) at 1440p with almost maxed settings, which is about the same as the Gamers Nexus benchmark results. I haven't noticed my CPU usage getting anywhere near 100%. I'm pretty sure those bottleneck calculators aren't very useful, so I wouldn't take what it's telling you too seriously. It would probably take a lot longer than 3-4 years for a regular desktop i7 to start bottlenecking midrange GPU's in games lol. Like, the 1080 was out at around the same time the 6700 was, and the 1080 and 2060 perform very similarly. And the 1080ti performs about the same as a 2080. The 6700 wasn't bottlenecking any cards when it was new. I think it's still a decent cpu for gaming. So beautiful, so sublime. One of the best hardlines I've seen - KUDOS! I love those skinny fans at the bottom. This is probably one of the best builds I have seen on here in a while. Looks so clean and props to you for having the patience. That would have drove me insane working in such a small form factor. Those are some of the best builds though! Check out my water-cooled build as well! Look forward to seeing more from you!